In the spring of this year, we took part in three fairs and one design show as well as last year. Each of them received awards. Thank you! The first of the FURNITURE and BREAKS 2017 fairs took place at the beginning of March in Nitra, Slovakia. 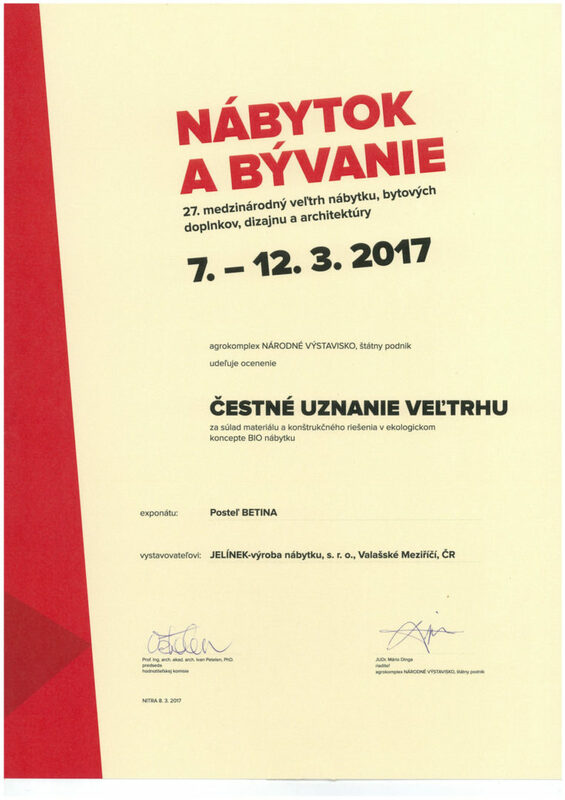 In the great competition of the exhibitors, we received the honorary recognition from the jury for the material consistency and the design solution in the ecological concept “BIO furniture” behind the BETINA bedroom. This room was also valued at other fairs. 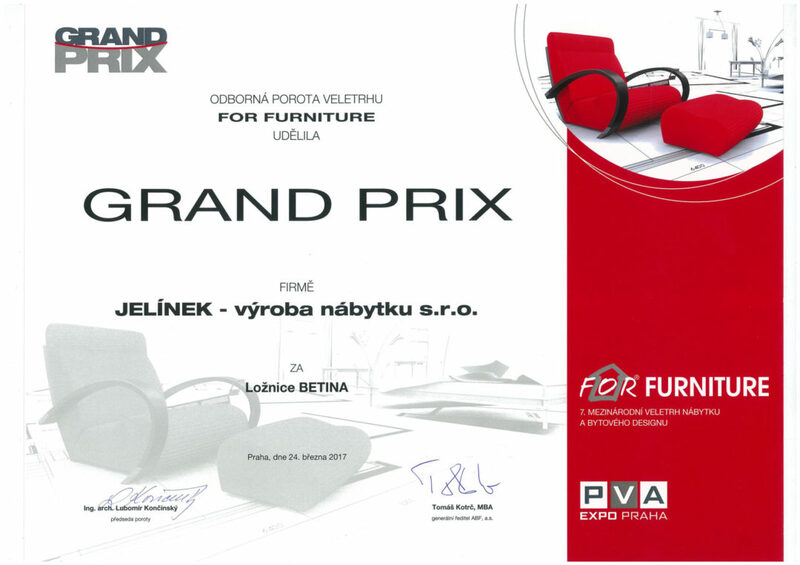 Next was the Prague Fair FOR FURNITURE, where this room was awarded GRAND PRIX. The last trade fair was MOBITEX in Brno, which took place in late April. 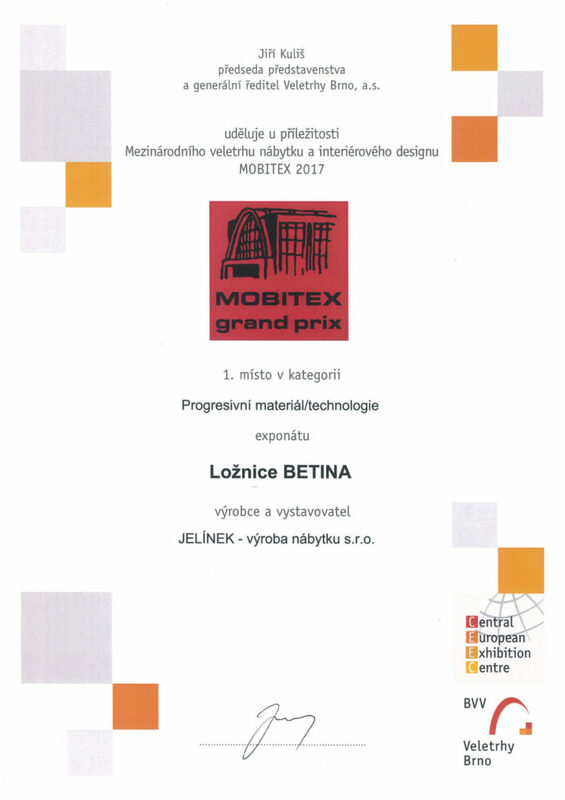 Bedrooms BETINA won 1st place in Progressive Material / Technology category. 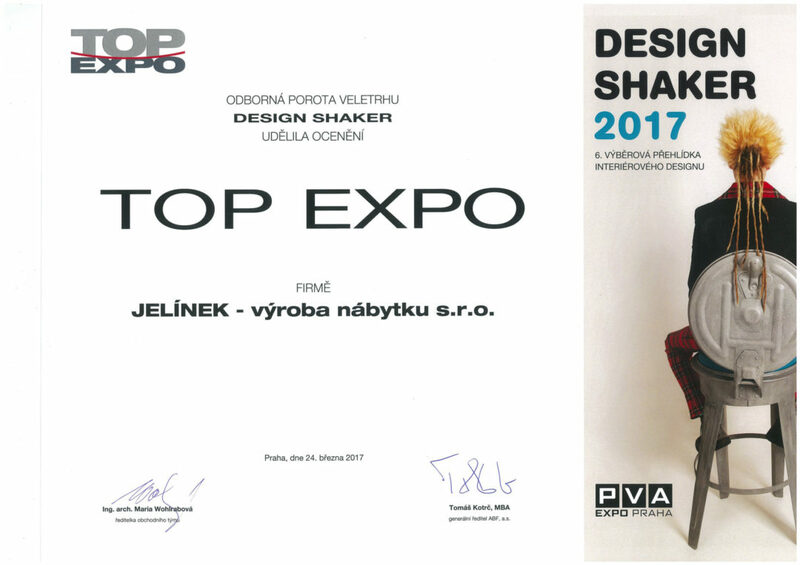 Part of the FOR FURNITURE fair was also the DESIGN SHAKER 2017 interior design show, where the jury appreciated our minimalist design and won the CANDY Best Exhibition Award. We are very pleased that our honest work pays off and we hope it will bring joy not only to us but also to you. … when you enter BETIN’s bedroom, you’ll be high up in the mountains. It is enough to stop and perceive the specific aroma of the curative PINOSYLVIN, which is high in the ZIRBE rarewood resin. The ZIRBE alpine tree is rightly referred to as the ALPHA KINGDOM. It grows at an altitude of 1600 m and lives up to 400 years. For your life, the tree harbors a positive energy, which it can also transmit in your bedroom for a long time. Energy flows from furniture made from this wood mainly because it is metal-free and without any surface treatment. Wood can thus freely “breathe” and release its healing effects.